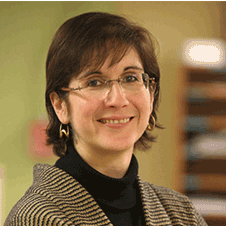 Allison Druin has been named an ACM 2016 Fellow. ACM’s Fellows are named in recognition of work that advances and transforms society. According to ACM President Vicki L. Hansen, “Their inspiration, insights and dedication bring immeasurable benefits that improve lives and help drive the global economy.” Druin and her 52 fellow ACM 2016 Fellows were honored for work ranging from artificial intelligence to high performance computing. Druin’s own contributions include developing foundational collaborative design methods and advocating for children as partners in technology design. Much of this work has been undertaken with the inter-generational design group Kidsteam, which has partnered with organizations such as Nickelodeon, Nokia, Sesame Workshop, and UNICEF to design new technologies for children. Kidsteam’s contributions to Nickelodeon’s Nick App were among the features cited when the app won a 2013 Interactive Media Emmy for Outstanding Creative Achievement in Interactive Media – User Experience And Visual Design. Kidsteam continues to operate at the HCIL, as well as in other locations across the country. A member of the Human-Computer Interaction Lab since 1998, Druin directed the HCIL from 2006 to 2011. She is also the co-founder of the International Children’s Digital Library and the Future of Information Alliance, where she is also co-director. She is an ADVANCE Professor at the University of Maryland, and also served as the University’s Chief Futurist. Since 2015, she has been working with the National Park Service as a Special Advisor for National Digital Strategy. Druin is the second HCIL Director to be named an ACM Fellow, following Ben Shneiderman, who received the honor in 1997. She was also elected to SIGCHI Academy this year, recognizing her contributions to the field of human-computer interaction.